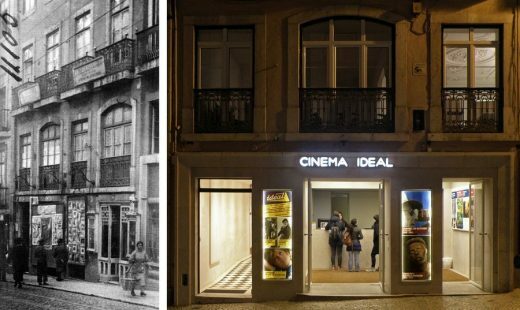 Cinema Ideal was the first cinema in Portugal. 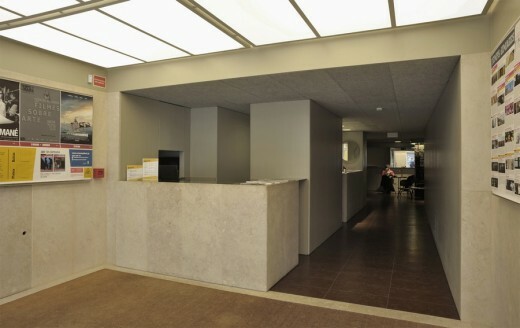 Located in the heart of Lisbon, between Loreto and Horta Seca streets, it occupies the ground floor of two buildings built in two different epochs – 19th and 20th centuries. Since its inauguration in 1904, the cinema was transformed by multiple interventions, becoming a degraded and architecturally disqualified place, showing exclusively pornographic films during the last three decades. 1. 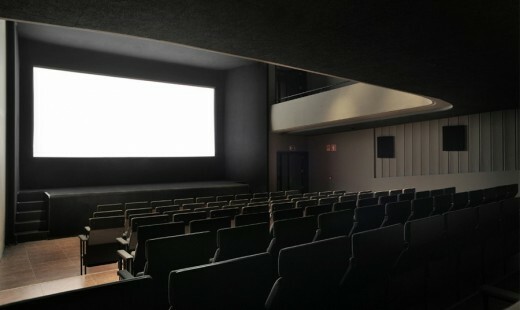 To recover the original urban nature of Cinema Ideal, opposed to the character of almost all of today’s cinemas in Lisbon which are located inside shopping malls. 2. 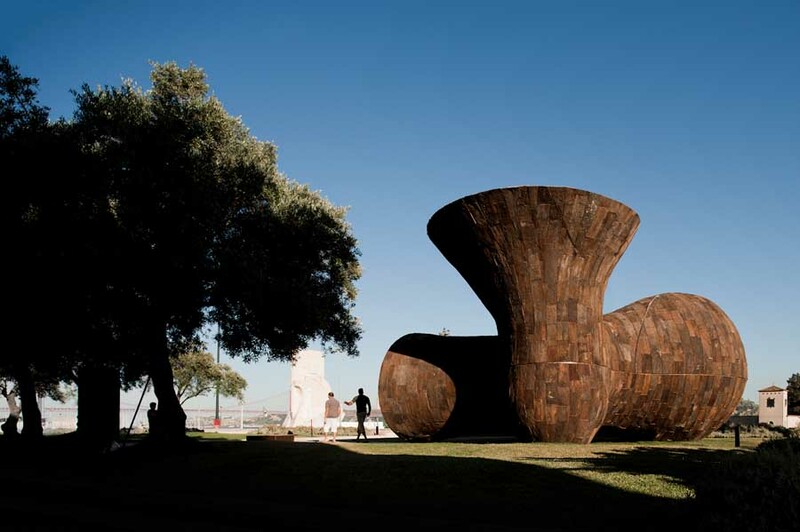 To accept and integrate the traces of different interventions over time, giving it a new unity. 3. 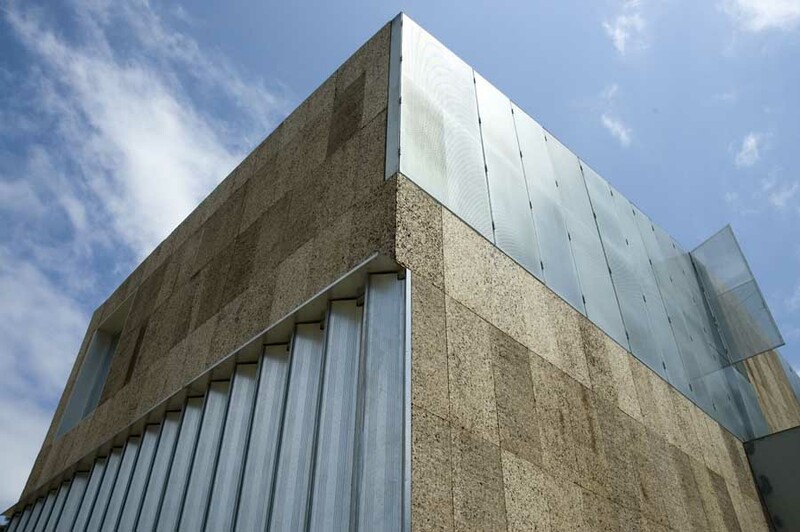 To give the screening room an architectural identity: a boîte à miracles instead of an indistinct black box. 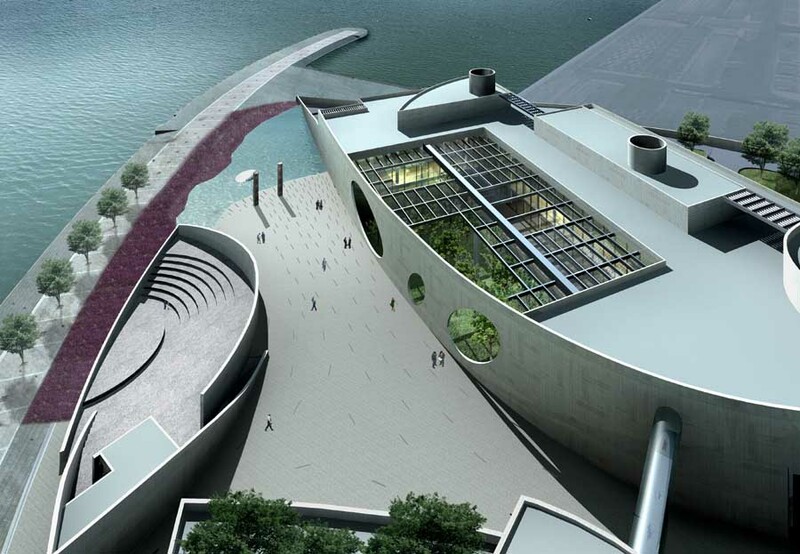 Therefore, the entrance was reconfigured, opening the cinema space to the city and bringing the limestone of the streets of Lisbon to the inside. 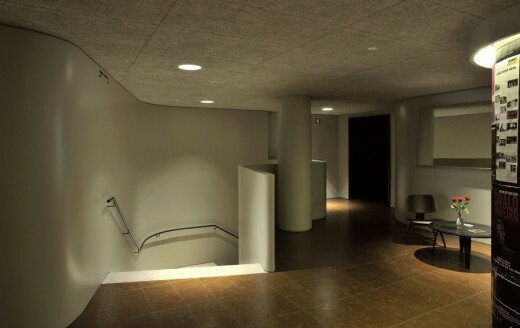 In the foyer, of exiguous dimensions, the walls extend the asymmetric and undulating surfaces of the screening room and a three faced mirror reflects the light and the movement from the street in the interior space. 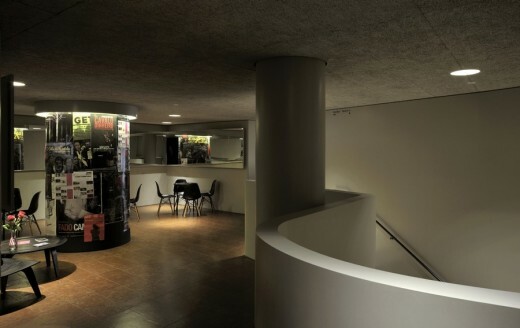 One of the existing pilotis was reconfigured to be covered by film posters and the artificial light, emanating from circular holes opened on the ceiling, establish different areas of light and shadow. 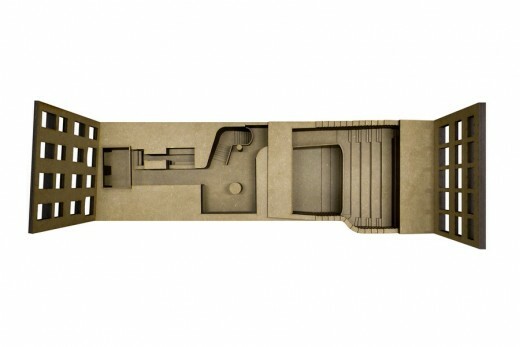 In the screening room, the most valuable existent elements that remained were also integrated in the project: the stalls and balcony, the undulated folded walls and its texture. 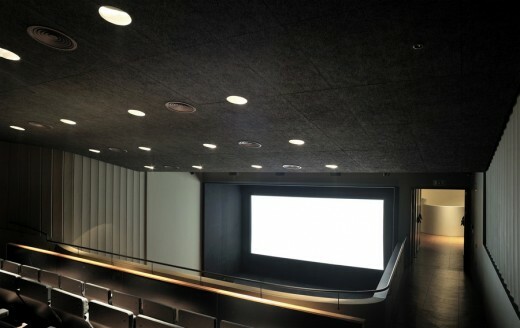 The shapes of the floors and ceilings of the screening room were reconfigured to ensure perfect viewing and acoustic conditions, while the reticulated and light structure of the chairs gently rests on the floor, helping to clarify the character of the room. 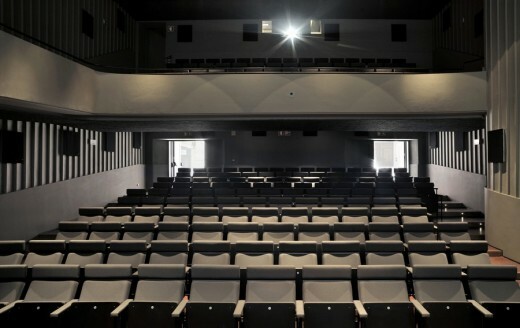 The doors between the screening room and the Horta Seca street, allow that, at the end of the sessions, the audience gets out directly to the street – from the darkness of the screening room towards the light of the city. 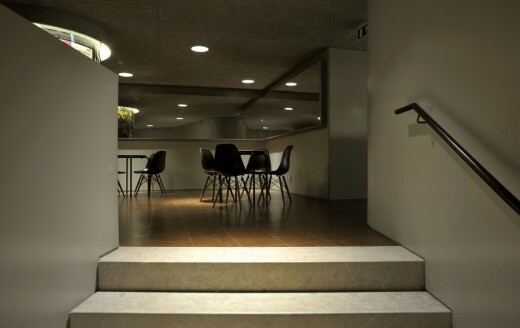 The plaster of the walls, the wood-fibers and cement, used in the ceilings – all painted in a single nightly color – and the natural cork that dresses the floors are the only materials, along with a few elements made of mirror and stone. 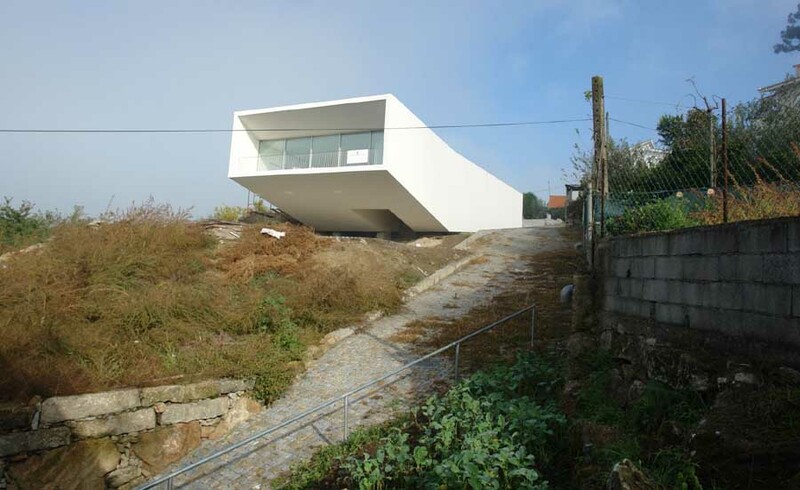 Colaborators: Rui Sousa Pinto, Vasco Melo, André Matos, Fernando Freire; João Pernão, Maria Capelo (consultores de cor).